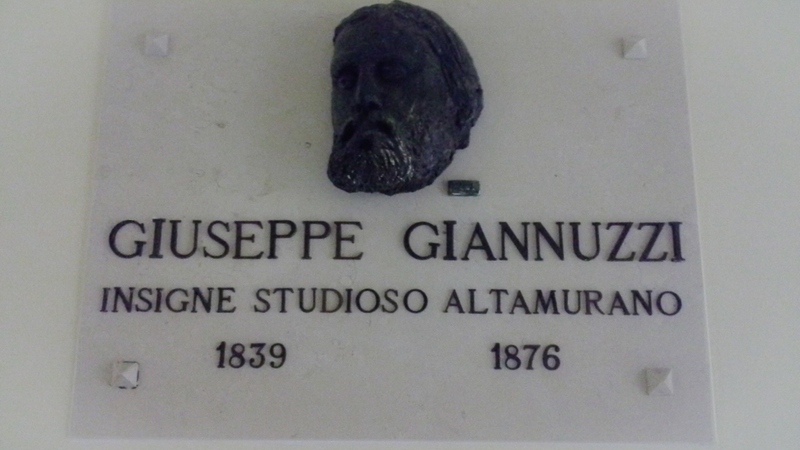 A memorial tablet with a bronze head of Giuseppe Oronzo Giannuzzi can be seen in the gynecological ward of the old hospital "Umberto I" of Altamura, the town where he was born1. 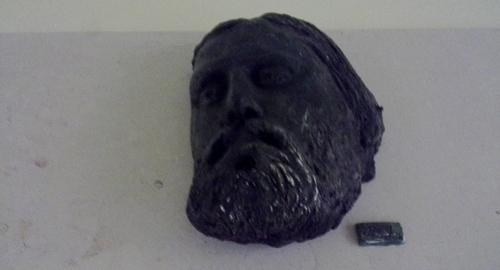 The tablet reports 1839 as his year of birth while the official register of births of Altamura reveals the correct year: 18382. The Italian inscription on the tablet reads as follows: "GIUSEPPE GIANNUZZI / INSIGNE STUDIOSO ALTAMURANO / 1839-1876" (Giuseppe Giannuzzi / famous scholar of Altamura).